iLead Marketing, LLC - Work Smarter. Welcome to the best lists of validated marketing and premover leads on the web. 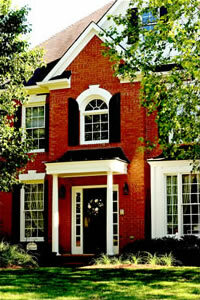 iLead Marketing is the nation’s leading provider of pre-mover and pending household sales leads. We offer comprehensive marketing plans that allow your company to target homeowners at any point during their home sale process. Whether your company strives to contact the homeowner right as their home is listed for sale or if you prefer to target homeowners whose homes have just entered escrow, iLead Marketing has a plan to increase your revenue while reducing your expenses. Every company states that their leads are the best. Only one company can be correct. At iLead Marketing we expect our potential clients to put us to the test. That is why we are the only company willing to provide a week of free leads with absolutely no obligation. We intend to prove our quality without exposing your company to any costs or commitments. And our quality will be evident from the moment you receive our data. While there are many factors that set us apart from our competition, the single most important factor is our commitment to deliver the most accurate leads possible. This is why we put each lead through an innovative 5-step cleaning process. Our process removes 60% of all homes listed for sale. These homes are vacant, repossessed, or new construction and have no chance of bringing you a sale. iLead Marketing saves your company twice: First, by not purchasing the poor quality lead upfront. Second, in the significant savings on postage and other marketing expenses. Sending out 60% less marketing material while achieving the same or greater success is what we like to call working smarter than your competitors. But don't take our word for it. Request a free sample online or contact an iLead marketing representative to begin receiving the best pre-mover or pending leads available.